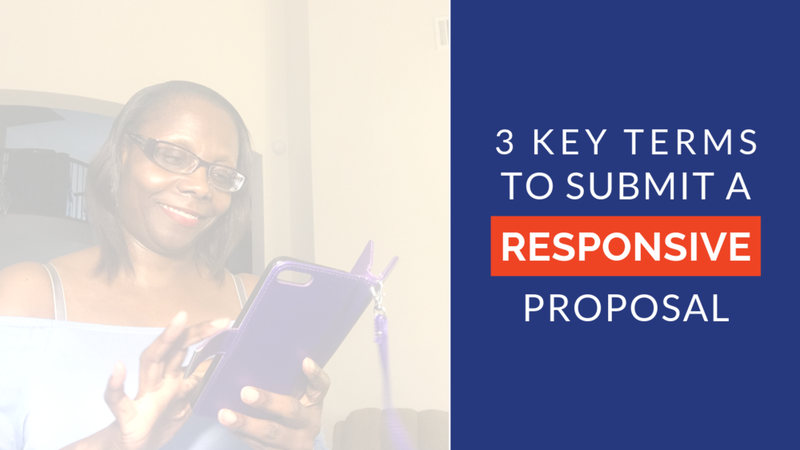 In this video, three key terms to submitting a responsive proposal. Learning the government language if a most. Throughout the bid process, while breaking down solicitations, proposal submission, and delivering on awarded questions, knowing the terminology that the government uses will be important. Breaking down a solicitation for key information will require you knowing the government’s language. Learn the language and change your perspective. If you’re ready to start submitting proposals, you don’t know what to include, you don’t know how to break down a solicitation to be responsive definitely check out http://thecontractorsedgebootcamp.com.